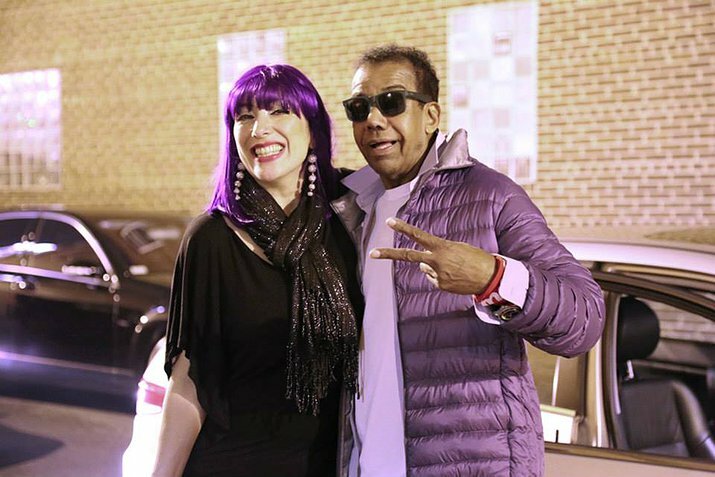 This week on Global A Go-Go, Elin (pictured above with Brazilian legend Jorge Ben) and Ben Takis of the band Alma Tropicalia drop by the studio for a chat. DC-based Alma Tropicalia, who specialize in psychedelic samba and Brazilian funk, will play later on Friday night at Balliceaux; we'll talk about the gig, the joys of tropicalia, DC's Brazilian community, and much more some time after 6 PM. Also on this week's program: great female voices of the Sahara; brass bands from around the world; and of course some Brazilian psychedelia.